Every suspense film needs a twist, something to make the movie…well, suspenseful. 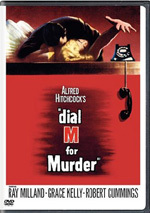 Usually the twist shows up about a third of the way through the film: the dead body in Dial M for Murder, the British traitor in Foreign Correspondent, or Mrs. Iselin’s role in The Manchurian Candidate represent examples of this. I Confess boldly flouts this suspense film convention as it places its twist at the beginning of the story. We start the film by following the camera through the dark and craggy cobblestone streets of Quebec until the camera leers through a window to reveal a corpse lying dead in a study. From the murder scene emerges a priest – or at least a man in priestly vestments - in a hurry to put some distance between himself and the body. He scurries back to the rectory of the local Catholic church where he works. All of these disturbances raise the interest of Father Michael Logan (Montgomery Clift). He goes down to the church and finds handyman Otto Keller (O.E. Hasse) disconsolate in one of the pews. Apparently Keller is a Nazi refugee who had nowhere else to turn when he arrived in Quebec; the church gave him and his wife Alma a place to stay and to work. Keller’s anxiety leads him to make a confession to Father Logan: earlier that night, Keller killed the widely reviled Monsieur Villette in his home. The Catholic Seal of Confession means that no matter the circumstance, Logan cannot divulge this information to any living human being lest he be defrocked. But the audience already knows what Logan doesn’t: Keller was dressed as a priest when two little girls saw him rushing from Villette’s house. Thanks to the confession, Keller’s soul is clean of the crime, but Logan is now framed for the murder and cannot defend himself. Led by Inspector Larrue (Karl Malden), the local constabulary comes calling to investigate the crime. Larrue notices a beautiful young woman through the window, approaching the flat only to be stopped short by Father Logan and sent away. He’s immediately suspicious; it turns out the woman is Ruth Grandfort (Anne Baxter), the wife of a powerful politician, and she’s in love with Father Logan. Ruth tries to tell the truth to supply Father Logan with the alibi that will clear his name, but she inadvertently incriminates him. Father Logan has motive, opportunity, and a very shaky alibi…and he’s also not guilty. For Father Logan, his holy obligations override even that, and he’s tried for the murder of Mr. Villette. How can he escape the hangman if he can’t speak to defend himself? Therein lies the suspense of I Confess: essentially, will Michael choose this life, or the next? Particularly for a Catholic like myself, it’s an effective and intriguing examination of the solemnity of a man’s vows to the cloth. Clift plays the conflict within to absolute perfection, trying to figure a way out of his situation without betraying his faith. Thanks to Hitchcock - himself a Catholic - and technical advisor Fr. Paul LaColine, the film is very careful on how it handles the issue. Anything that might even be construed as an accusation from Father Logan, any stray glance or even the slightest inference toward Keller, would be considered breaking the seal. Keeping the character as steadfast as possible was the only way for the story to really be suspenseful. There’s plenty to like about I Confess. The film has some quality performances by its main characters, starting with Clift. His biggest task is to play Logan with pride and conviction, not turning into a ‘woe is me’ character. He absolutely nails the role, with a combination of steely nerves and human fear. Karl Malden is fantastic as the dogged investigator relentlessly trying to bring a man to justice, and Anne Baxter is solid as Ruth, the woman whose love can never be returned. The film also features some superb photography, using film noir techniques and the quaint locales of Quebec to underscore the torment within Logan. Just as a pure ‘picture,’ I Confess is close to technical brilliance. So why wouldn’t I enthusiastically recommend I Confess? While there aren’t a lot of things about the film to detract from it - save for the seemingly intentional corniness of the flashback - there really aren’t a lot of truly fantastic elements to really promote it, either. The movie plods along at a rather leisurely pace. It’s not slow, but it’s far from breakneck. The pacing and the film’s long second act make the finale seem almost too fast, like it hastily tried to wrap up the film. In addition, it doesn’t really make sense. It’s never sufficiently explained why Keller thought he would have to frame Logan, rather than just kill him without a witness and trying to get away with it. As a film, I Confess is worth watching if you happen to come across it on cable somewhere like TMC or AMC, but beyond that, it’s middle-of-the-pack Hitchcock. I Confess appears in an aspect ratio of 1.33:1 on this double-sided, double-layered DVD; due to those dimensions, the image has not been enhanced for 16X9 televisions. We got an adequate but unexceptional transfer here. Sharpness was erratic. Much of the movie demonstrated reasonably good definition, but more than a few exceptions occurred. In general, the flick looked acceptably well-delineated, but it rarely looked especially concise. Jagged edges and shimmering didn’t mar the presentation, but mild/moderate edge haloes cropped up throughout the film. Source flaws were something of a distraction. Throughout the film, I noticed sporadic examples of specks, marks and lines. None of these were heavy, but they were noticeable. Blacks were fairly dark and tight, but contrast varied. We got the Goldilocks scenario: some shots were too dark, some were too bright, and others were just right. Overall contrast was decent, but these variations occurred. Shadows tended to be a little dense as well. Though this was never a great presentation, I thought it was good enough for a “C+”. Similar impressions came from the monaural soundtrack of I Confess. Speech tended to sound a little thin and tinny, but the lines were perfectly intelligible at all times. Music appeared somewhat flat. The score lacked much heft, as the music seemed a bit dull. Effects didn’t have a lot to do, but they were acceptable. Those elements failed to present much range, but they were fairly clean. Nothing here excelled, but the track seemed fine for its era. When we head to the extras, the main attraction comes from a featurette entitled Hitchcock’s Confession: A Look at I Confess. In this 20-minute and 39-second show, we hear from filmmaker Peter Bogdanovich, Hitchcock at Work author Bill Krohn, film historians Robert Osborne and Richard Schickel, Montgomery Clift’s friend Jack Larson, and Hitchcock’s daughter Pat. “Confession” examines the film’s story, development and themes, the impact of the era’s production code, various filmmaking techniques and locations, cast and performances, and the flick’s reception. Hitchcock fans will be familiar with the featurette’s format and participants. “Confession” goes into the various facets of the production with acceptable depth, but it doesn’t prove to be especially rich. Expect a decent overview of the movie. In addition to the film’s trailer, we find newsreel footage. This 57-second clip shows Anne Baxter and Alfred Hitchcock at the film’s Canadian premiere. It’s a nice historical curiosity. While Hitchcock was indisputably a master filmmaker, it’s certainly clear that even he had a second class – and even a third class - of films. I Confess is one of his movies that is fairly classified on that “B” tier. It’s a far cry from the Rear Windows and the Psychos of the world, and it’s just slightly beneath Dial M for Murder and Foreign Correspondent. Nonetheless, it’s better than flicks like Suspicion and Marnie. The DVD gives us decent picture, audio and supplements. Nothing here stands out as exceptional, but it’s worthwhile Hitchcock. Note that this version of I Confess comes as part of a four-movie package. 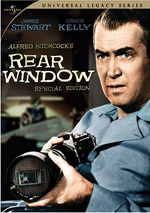 Called “TCM Greatest Classic Films: Hitchcock Thrillers”, the set also includes The Wrong Man, Strangers on a Train and Suspicion. “Thrillers” packs the four movies onto two DVDs; it pairs Confess with Wrong Man.